The Super Mario World carnival game is loads of fun for all ages. Kids love catapulting the Mario figures into the pipes. 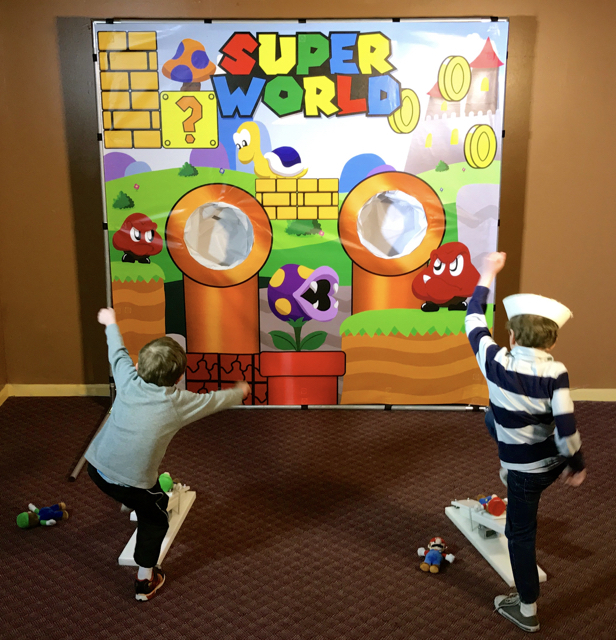 Like all of our carnival games, Super Mario World can be used indoors or out. PLEASE NOTE: This unit requires no electricty. CAPACITY: Can accommodate 1 player at a time (many spectators). NOTE: $100 minimum order requirement; rent two games for free delivery.